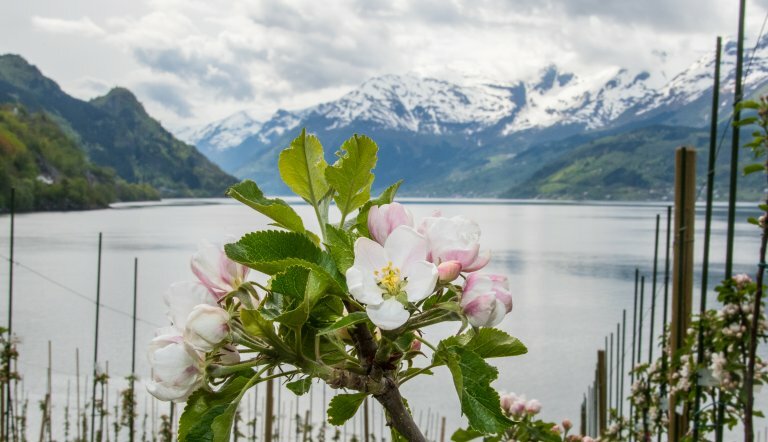 NIBIO Ullensvang lies in Norway’s largest top fruit district, Lofthus beside Sørfjorden in the inner part of Hardanger. The research station was established in 1949 in order to help fruit growers solve their problems in the orchard. The same goal underlies the work performed at NIBIO Ullensvang today. The station has twelve employees, who together cover topics within the whole production chain from the field to the table. 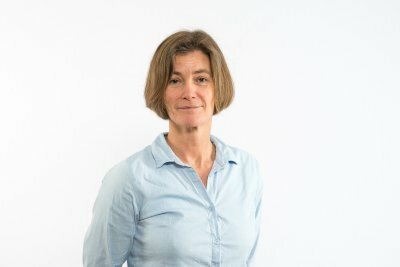 The most important R&D-challenges today are related to soil management and plant nutrition, fruit varieties, tree shaping and thinning, storage methods, organic fruit growing, processing of fruit for beverages, genetic studies, pollination and effective and environment-friendly control of insect damage and fungal diseases. Production of protein from larvae is a novel research area at the station. The scientists have a varied research background, but all have fruit as their common interest. This gives a unique opportunity for a unified approach to problems facing fruit growing industry. NIBIO Ullensvang is situated on the farm of Ullensvang Prestegard, and also rents two neighbouring farms, altogether about 8 hectares of land. Orchards of apples, pears, plums and sweet cherries have been planted with the aim of performing R&D. In one of the fields, there are 9 tunnels suitable for studies under controlled conditions, whilst another field is protected against precipitation and insects using the Voen system. The station has both organic and conventional orchards. The original building from 1960 has been refurbished over the years and contains today offices, library, meeting rooms and a canteen. A new building from 1999 houses both chemistry and biology laboratories equipped with instrumentation for chemical analysis of fruit quality, magnifiers and microscopes and PCR, and with capabilities for controlled experiments with insects and fungal diseases. In addition, there are six storage cells of varying size, in which both temperature and atmospheric conditions can be modified. There are also five climate chambers suitable for propagation of plant material and insects, in which light, temperature, air humidity and day photoperiod van be adjusted. This building also contains a large packing hall, ample storage space, a workshop and a garage facility. The advisory service NLR Vest rents office space at NIBIO Ullensvang for three of their employees. NLR is an important R&D partner. Ullensvang maintains close cooperation with the fruit trade, especially within the storage sector. Amongst other important partners are Hordaland Fylkeskommune, Fylkesmannen in Hordaland, University of Bergen, NOFIMA, NIFES, Vestlandsforsking, NMBU, other NIBIO stations as well as several international research institutions.